In interviews of late Eric Clapton has suggested he will retire from touring in the wake of his seventieth birthday next year. And with seven performances scheduled for next May at the Royal Albert Hall commemorating both his seventieth birthday (which actually falls on March 30) and the fiftieth anniversary of his first appearance at the hallowed London venue, the prospect seems all the more likely. 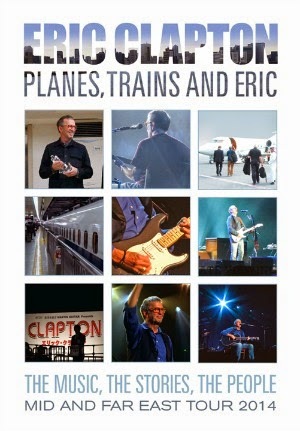 That prospect likewise looms throughout the new Eagle Rock documentary, Planes, Trains, and Eric, which chronicles the music legend’s tour of the Far and Middle East earlier this year. In watching the live footage it’s abundantly clear that should Clapton indeed walk away from the concert stage for good, it won’t be because of a lack of passion or dramatic musical decline. Quite simply, the synergy here between Clapton and his band — bassist Nathan East, keyboardist Chris Stainton, organist Paul Carrack, drummer Steve Gadd, backing vocalists Michelle John and Shar White — is seamless. Even on the most familiar material — songs like “Cocaine,” “I Shot the Sheriff,” and “Wonderful Tonight” — Clapton’s commitment to his talent and craft is palpable, underscoring that this is a real-time collaborative exchange among these musicians rather than a routine greatest-hits revue. Bits of accompanying rehearsal and soundcheck footage illustrate this further, manifesting in scenes where Clapton repeatedly leads the band through an intro or a chord change until it meets his satisfaction. 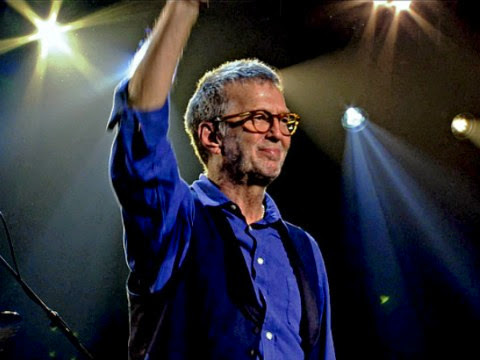 While ostensibly a concert film, some of documentary’s most compelling moments come by way of select commentary in which Clapton reflects on his near life-long kinship with Asian culture. Japan, he notes, occupies a particular and often personal significance in his history spanning four decades of memories, friendships, and performances. At times Clapton seems conflicted about leaving all that behind. Whether or not to bid farewell to life on the road altogether — and to live performance specifically — no doubt weighs on his mind even more.